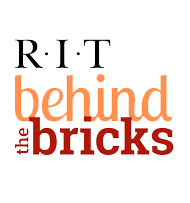 RIT is committed to assisting its employees to properly prepare for a secure retirement. Eligible RIT employees can save for their retirement by contributing to the RIT Retirement Savings Plan, a 403(b) plan that gives employees an opportunity for retirement savings accumulation during their working years. We strongly encourage you to start planning and saving for your retirement as soon as possible. The Plan offers a number of investment options across an array of asset classes with low fees so that you can invest your money in a way that makes the most sense for your goals. RIT retains a nationally recognized investment consultant to ensure the Plan's retirement fund offerings are performing up to RIT's high standards on an ongoing basis. The Retirement Transition Program is a phased-in approach to full retirement status designed to recognize and reward long and successful university service while continuing to utilize the skills of employees approaching retirement. Because this program is intended to provide a transition to retirement, it is available for a maximum of three consecutive years. Once approved, this election is not revocable. The employee is required to retire by the end of the retirement transition period.